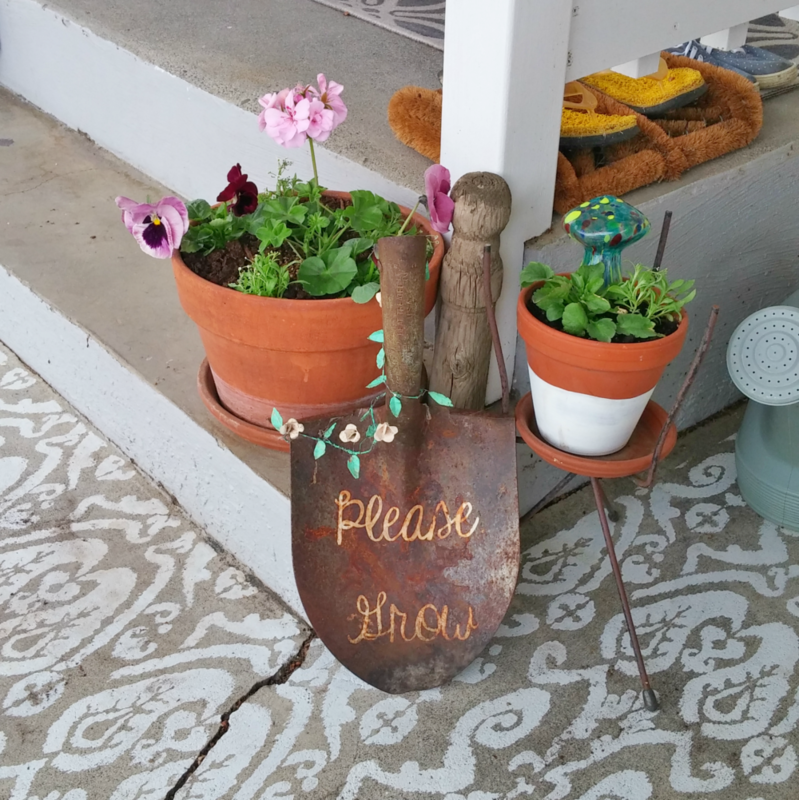 Thanks to Wayfair for partnering with me to bring you this post! I was compensated for this post, but all opinions and ideas are my own. 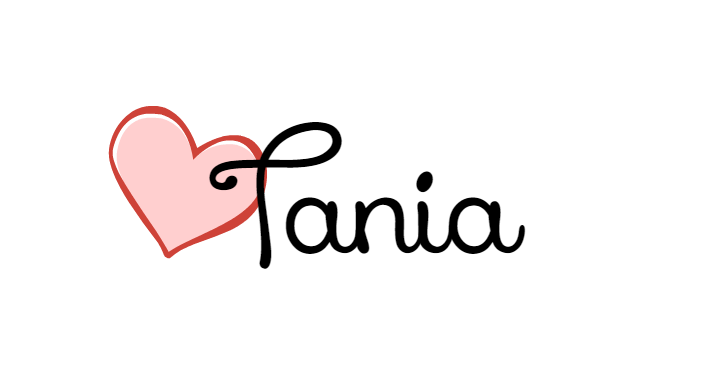 Click here to read my full disclosure policy. The first day of spring has come and gone (March 20th to be exact) but guess what? In fact, I know some areas still have snow! 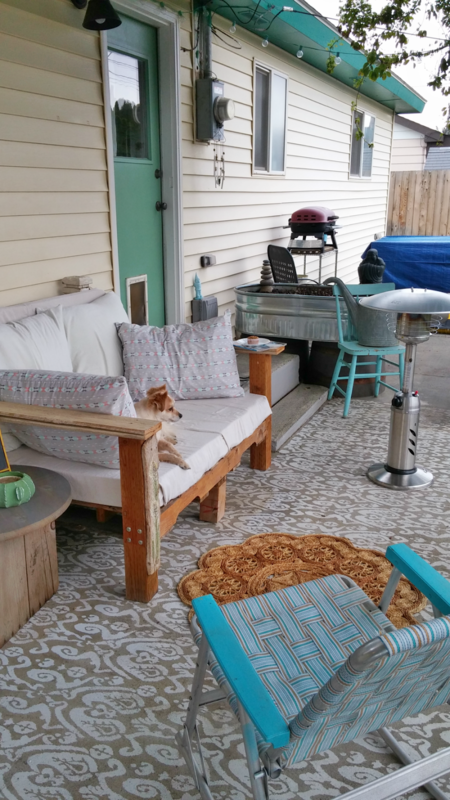 I'm ready for spring... warmer weather, sunshine, and relaxing outside in the warmth, how about you? 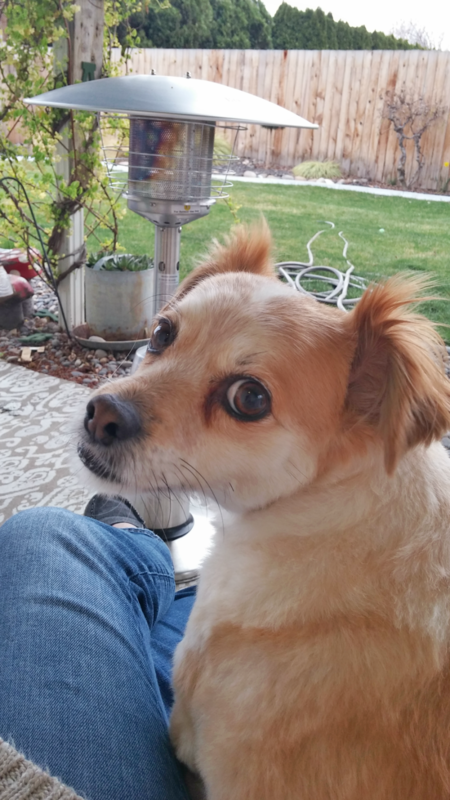 Even though it is still a little chilly outside I have started enjoying my patio anyway! Over the weekend I sprayed everything down and cleaned it all up. I even rearranged the seating and decor. And guess what? I'm warm and toasty out there... know how? 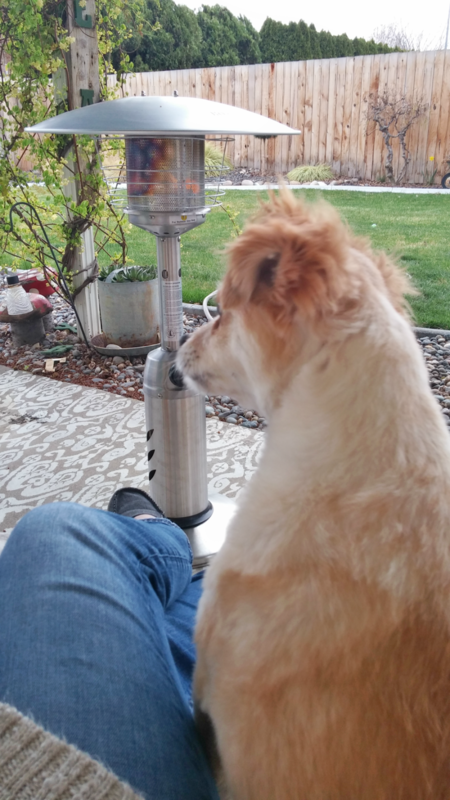 With my new Propane Patio Heater from Wayfair! 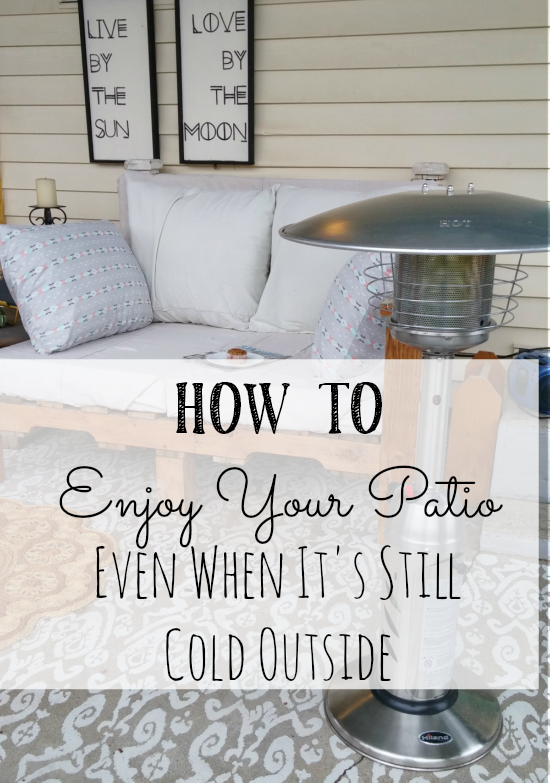 When the lovely folks at Wayfair asked if I'd like to participate in their "Move the Party Outside" campaign for March I thought "it's still cold outside! How can we enjoy the outdoors just yet?!" 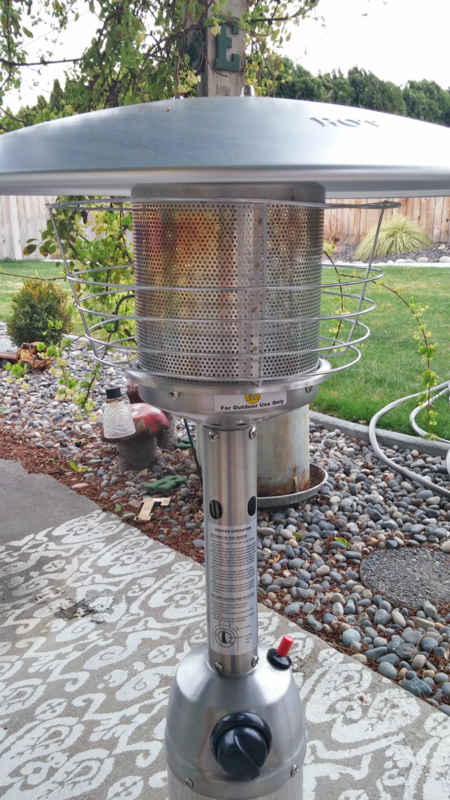 But then I remembered a party I attended once where they had patio heaters just like this (only much larger and surrounding the whole yard) and I remembered how warm I still was even though it was winter at that time! 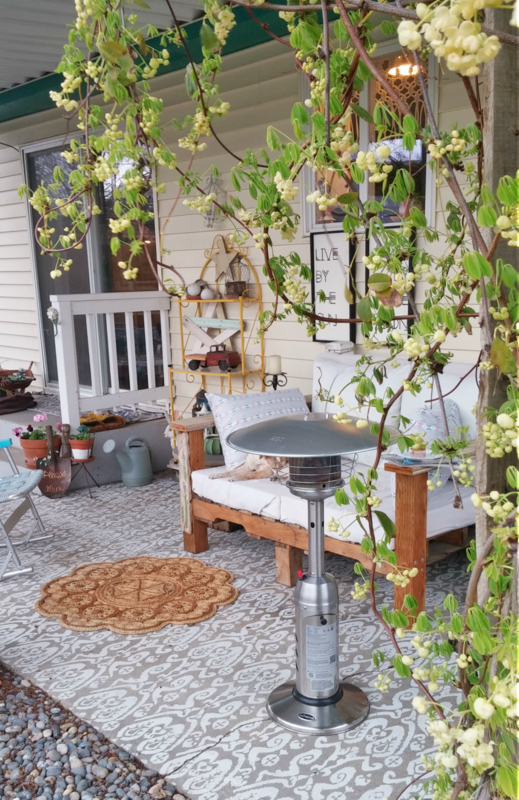 Since my patio is small, I ordered the smaller tabletop patio heater and it's just perfect! After work last night I came out here for a little relaxation time and a treat! 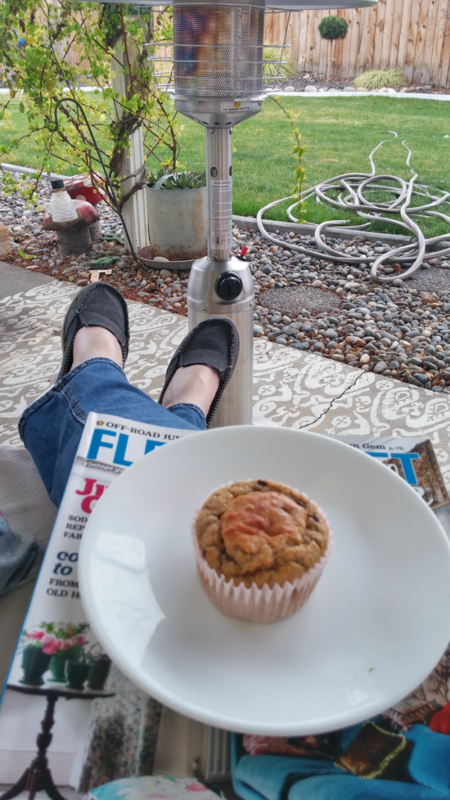 I made Skinny Banana Oatmeal Muffins. They are so good! My little man joined me on the sofa. 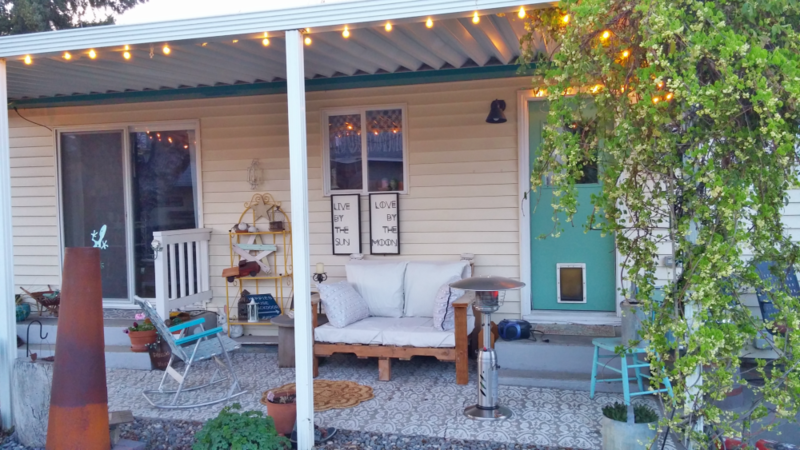 It is especially cozy when dusk begins to creep in. 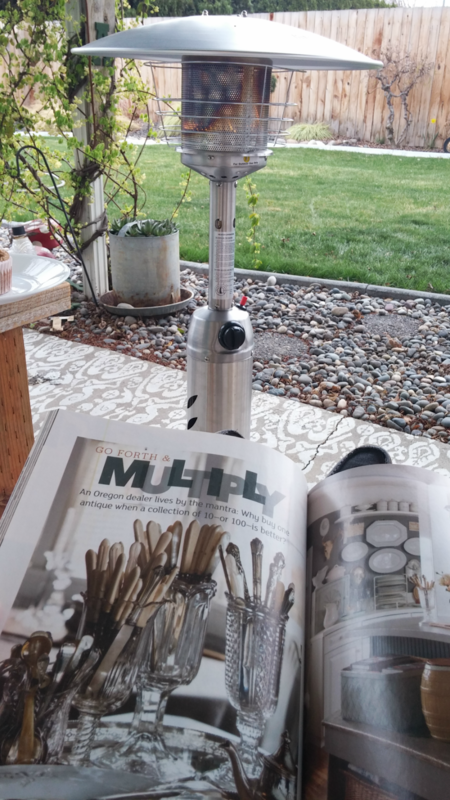 I stood outside at the nursery picking out a few flowers to plant and I think I should suggest that THEY get a patio heater or two!! 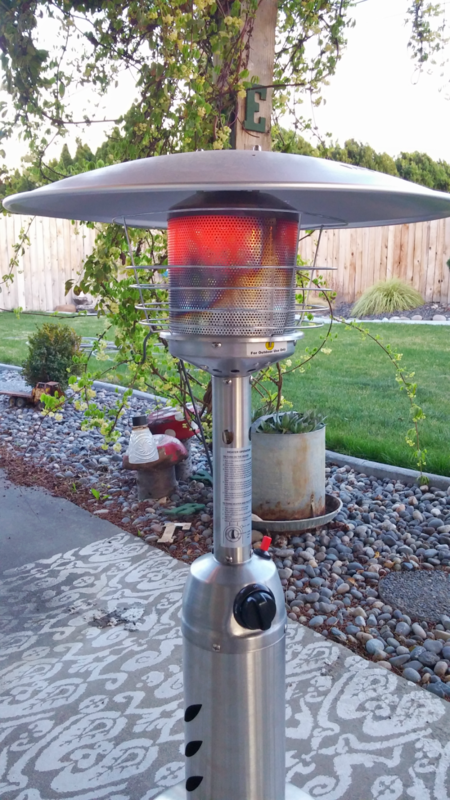 I also have a fireplace but that's not something that you can have right up on the patio usually (mine is covered) like you can this small heater! 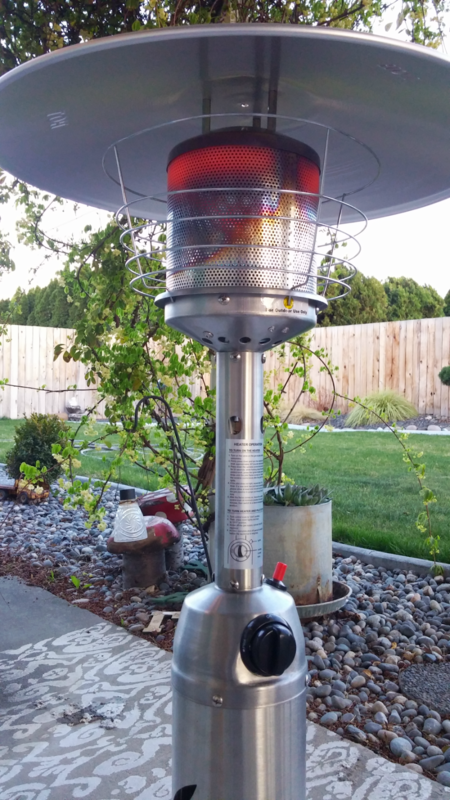 Check out their selection of both big and small patio heaters here: Propane Patio Heaters You'll Love! 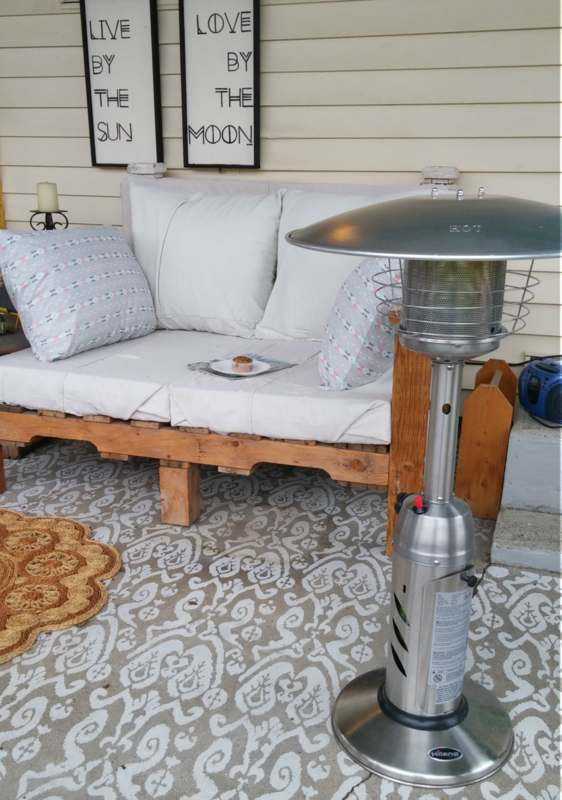 Even though it's still cold outside you can still get a jump start on spring and enjoy a little outdoor time with a patio heater from Wayfair!